Here’s the progress for the week. No new builds, but a few things have now been (finally) completed. First up I managed to paint Spectre’s new BMP-1 which I just reviewed in short order earlier in thr week. Not being fully satisfied with how the turret looks compared to the HLBS one (more on that model later), and being that its a fraction smaller than my other BMPs I decided to go with something a bit different. 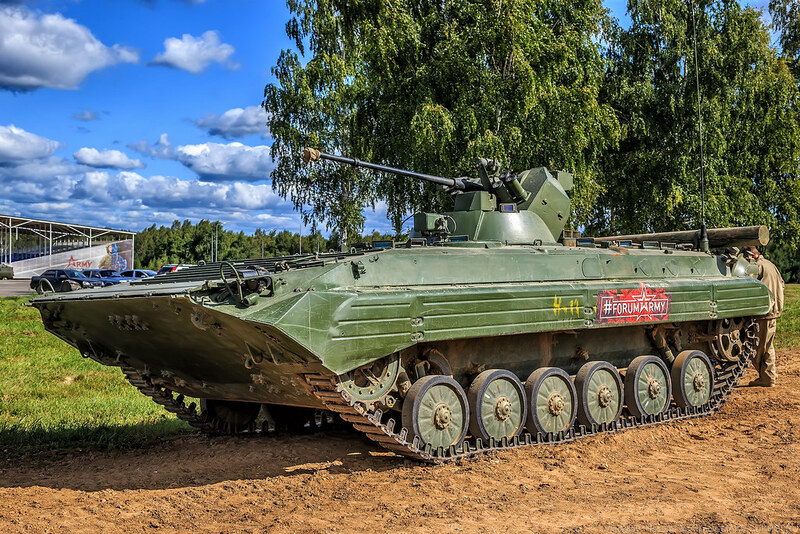 With the addition of a spare Empress BTR-80A turret (ah and when I say spare, I mean I now have a BTR-80 joining my forces rather than an 80A…) its an acceptable replication of one this cheap modernisation for the Russian state forces. Its not a 100% accurate replica of the real thing. In details like the infrared sight and placement of some handholds, etc, but good enough for my purposes. I have seen another of their modernisations feature ERA, though I’m still waiting on an acceptable commercial set of add-on ERA rather than making it myself, and this vehicle looks good as is. I also painted up the original turret which comes with the kit just in case. Though that’ll probably be used on a technical in future. A similarly ancient vehicle with a long service life, though without quite so much in the way of modernisations like the BMP-1 AM, here’s this BTR-60 PB from Ukrainian company Mikromir now painted. As I’d said in earlier posts this one took a bit of work to bring it up to standard. With the original kit lacking basic things like detail on the view ports (being totally flat like a toy), missing proper exhaust covers, and other little bits and pieces. With Hauler’s etched brass parts and a set of resin wheels (which cost, well, just about the same as the base kit did) it looks better. I didn’t use all the parts as some of the smaller bits were just too fiddly to be worth the effort, as were other bits just asking to be broken off with handling (being more geared towards a show piece than for a wargaming miniature). I’d bought a second kit and set of after-market parts which will do for another of these. For the moment there’s no set plan on what to do with them, especially with the three BTR-80s which I’m still left to build. Perhaps another base BTR-60 PB just with some extra parts like external stowage boxes and slat armour, or maybe a bit weirder. I don’t believe there’s much money in modernisations of the BTR-60 on the European market, so keeping the vehicle as a bog standard variant may be the most realistic choice (and there’s still plenty of options as far as those go). Bringing it back around to the other BMP-1 which I now have. This is the older HLBS kit (in 1/48th scale rather than 1/50th like Spectre) and it shows to an extent in both how it fits together and the overall detail level compared to the one from earlier in this post. Still, given the majority of my vehicles were made by HLBS, this isn’t massively noticeable. Outside of the vehicles to diversify things a bit I slipped some soldiers onto the painting table too. 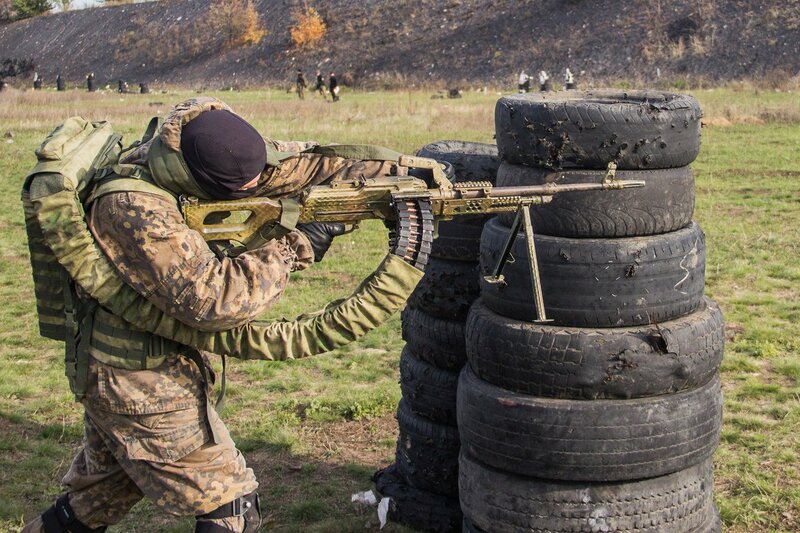 This first guy represents a Russian backed Separatist fighter armed with the latest in their tech – and he is partially based on a video I found on the internet of a similarly equipped fellow. The model’s one of Spectre new miniatures; a Spetsnaz figure lugging this distinctive weapon, with a head swap from one of their MENA figures which I had laying about (I have a few spare guys with PKMs for future squads just in case). Someone to give the Separatists a bit more bite as my other factions have been receiving more attention lately. That’s another lot of models now cleared off my immediate to do list, so now its back to finding some more stuff to work on. As I said earlier, the three BTR-80s are still there, which may receive some love. As is there of course terrain too which is left to be finished (then hidden away in a box for a while…), and I could probably scare up some more scatter bits if they catch my eye when sifting through the bits stack. Nice work- love the grimey look you’ve achieved on the AFVs.